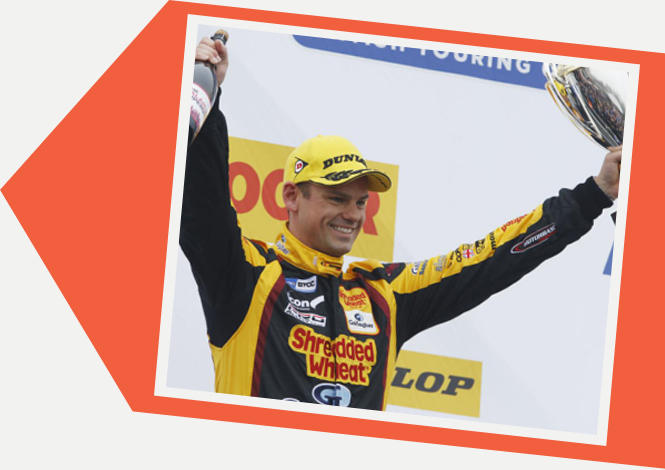 Tom Chilton, born in 1985, comes from a successful sporting family. He is also a brilliant British racing driver. He has spent most of his career competing in touring car racing. Tom Chilton joined the BTCC in 2002. At the time, he was the youngest driver ever taken to the grid at 17 years old. In 2010, he became the independent driver champion. He raced the Focus RS at Team Shredded Wheat Racing with Gallagher in 2018, driving consistently well on the way to third in the Drivers’ Championship, with a victory at Knockhill. It’s a great honor that Maxpeedingrods cooperate with Tom Chilton this year. There are nine models involved in BTCC, such as BMW, Ford, Mercedes, Honda, Toyota, Audi, Subaru and Volkswagen. The most important thing is Maxpeedingrods can provide a corresponding product for each Car Maker, such as connecting rods for the Focus, turbocharger for the Audi. Meanwhile, Tom Chilton also became the brand ambassador of Maxpeedingrods. As for the brand Maxpeedingrods, it has been focused on performance auto parts over 10 years and with more than 3 million customers all over the world, mainly producing and selling connecting rods, crankshaft, turbochargers and coilovers, etc. Tom Chilton secured his 15th BTCC career win during an action-packed closing race on the Kent circuit, last weekend (April, 6/7, 2019), adding to his earlier 3rd-placed podium and top-nine finish for the Motorbase-run squad during the 2019 curtain-raiser. both Chilton and team-mate Ollie Jackson took a risk on the medium compound starting from P13 and P27 on the grid. Race 2 proved to be more of a scrappy affair for the Motorbase-duo. A strong start for the Gallagher-backed driver that saw him make a move on Jake Hill as the race leaders charged into Paddock Hill bend was rewarded with a P2 position. Regrettably, it was a short-lived result. After coming under relentless pressure from the charging pack, Chilton defended hard against the lighter opposition but dropped down the order to eventually cross the line in 9th. Chasing down lead pair of Neal and Jelley, Chilton made his movement on the BMW on lap 8 to take second place before besting three-times BTCC-champion Neal as the two raced through Clearways on the following tour. With a clear run ahead of him, Chilton took a commanding race win in the #3 Focus RS, and his second visit to the podium. Regrettably, Chilton’s movement was deemed as an illegal overtake by officials following the final race, and Chilton was handed a 5-second penalty, with the amended race result recorded as a P2 finish for the Motorbase driver. There is no doubt that Tom is the champion and the best racing driver in all our fans' minds. The Kwik Fit British Touring Car Championship has a short two-week break, before heading to Donington Park on April 27/28 for rounds 4, 5 and 6. Let's expect Tom has a better performance in the coming season.